A pickup truck carrying 23 people veered off a Texas highway and crashed late Sunday, killing 14 and injuring 9 others. 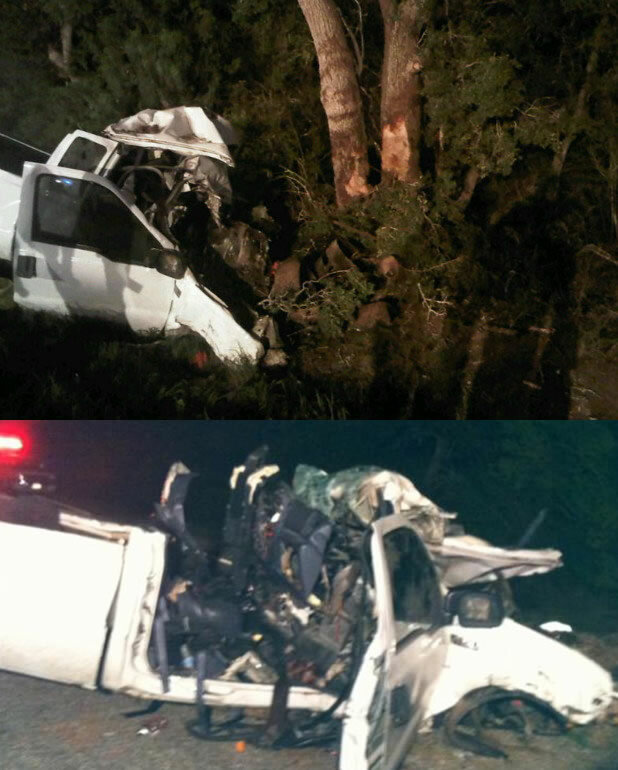 The Ford F-250 Super Duty pickup was was traveling north on U.S. Highway 59 when it crashed into two large trees near Goliad, Texas, about 100 miles southeast of San Antonio, Texas Highway Patrol trooper Gerald Bryant told KTRK-TV. Some of the victims were airlifted to hospitals in San Antonio and Corpus Christi. The cause of the crash remains under investigation, police said. The victims were crammed in the cab and bed of the pickup truck. “Based on the mode of travel, the way that the people were in the vehicle, it’s a high probability there were illegal immigrants traveling northbound on 59,” Texas Dept. of Safety Lt. Glen Garrett told KIII-TV. The Popular Question: Were they Illegal Immigrants? As Texas Dept. of Safety Lt. Glen Garrett told KIII-TV, there’s a high probability that they were illegal immigrants, especially considering the amount of people packed in the truck. There is going to be some obvious controversy here, considering victims were airlifted after the horrible crash. Of course they needed medical attention after something so horrible but it’s crazy to think that the American tax payer is going to pay for hospital bills if they are illegal immigrants. When will border control figure out how to stop them?